During the Blue Ribbon Celebration in February, Riverbend was awarded a $ 500 grant for math and science from Peak Energy and Exxon Mobil. Peak Energy is leading petroleum marketing and retailing firm with offices, convenience stores, restaurants, and heating oil services throughout the southeast. This is the 14th consecutive year for the program and this year Peak Energy has supported 16 schools in Western NC with grants totaling $8000.00. Many Peak Energy employees have students in our schools and they are proud to help support them. 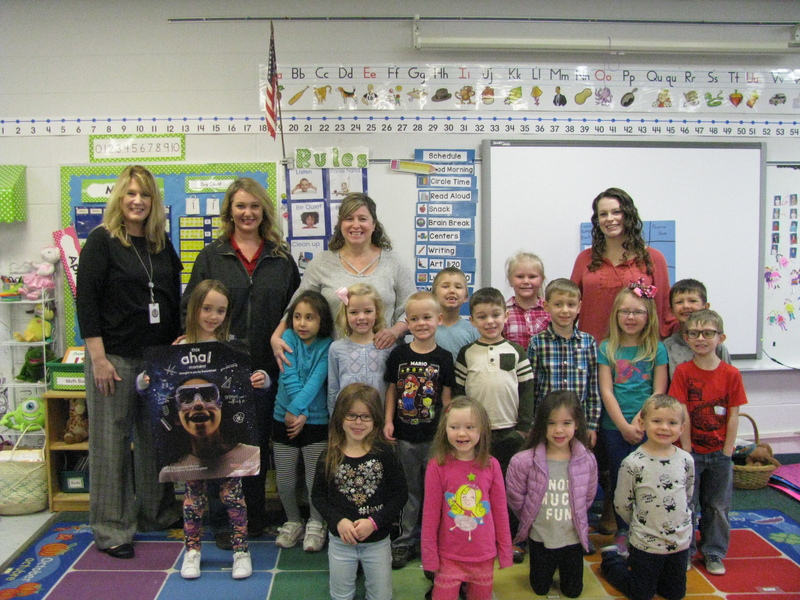 In fact, Jessica McCoy, the Peak Energy grant representative, has a niece, Ava Miller that attends Riverbend Elementary and is pictured here with her class accepting the grant. The grant funds will be used to grow Riverbend’s STEM lab. We would like to thank Peak Energy and Exxon Mobil for their continued support of for our students.